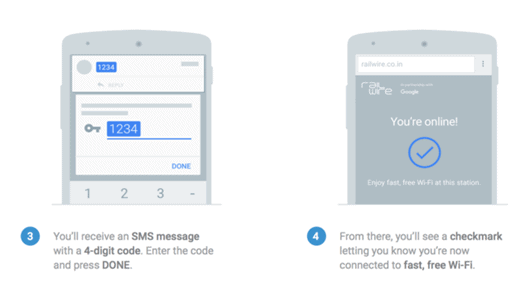 Indian Railway’s arm Railtel which provides Internet services as RailWire via its extensive fiber network along with Google. 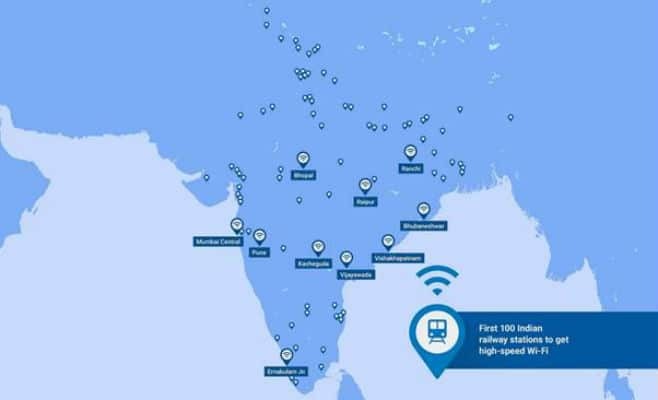 This announcement made at the launch of free high-speed public Wi-Fi service at nine new railway stations. After the first launch at Mumbai Central, starting today users in Pune, Bhubaneshwar, Bhopal, Ranchi, Raipur, Vijayawada, Kacheguda (Hyderabad), Ernakulum Jn (Kochi) and Vishakhapatnam will be able to access the network using their smartphones for free. With these launches, Google has now rolled out public Wi-Fi service across ten key railways stations, enabling access to over 1.5 million Indians every day. The service will be formally inaugurated by Hon’ble Minister of Railways Shri Suresh Prabhakar Prabhu soon. The service built over the fiber network of Raitel is designed to offer high speed broadband experience to users. Travelers passing through these stations will now be able to easily stream a high definition video while they’re waiting, research their destination, download a book or a new game for their journey. 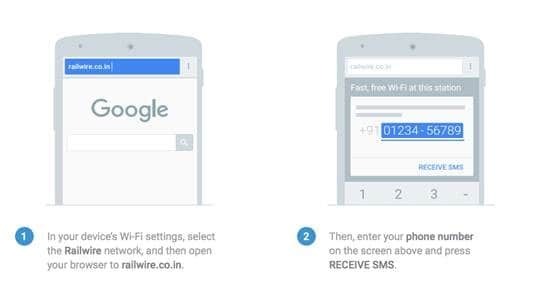 Google is committed to work with Indian Railways and Railtel to deliver high-speed Wi-Fi network that will be available to 10 million Indians a day by the end of the year, covering 100 of the busiest train stations in India. The project will be eventually rolled out to cover 400 train stations across India.